After having one of the best meals of my life on a farm in Trani, Puglia, I really wanted to find something similar while travelling around Sicily. Also, as Sicily is renowned for its slow food movement and having some lovely local wines, I wanted to combine the two and stay on a working farm. What is an Agriturismo you ask? Well, it usually translates as a ‘farm house resort’ and the best type are usually run as a working farm by a family, with guest-rooms and shared common areas such as dining rooms, courtyards and gardens. These farms usually provide amazing food, and are situated in beautiful parts of the country. The time had come to bottle our Tripel Karmeliet (AKA Tripel Karmelike. Geddit?) 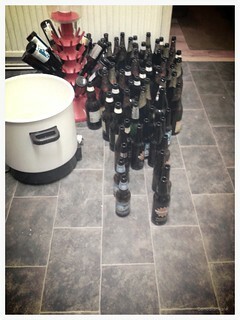 and after training at the Climbing Works, we went round to our friends house to bottle. 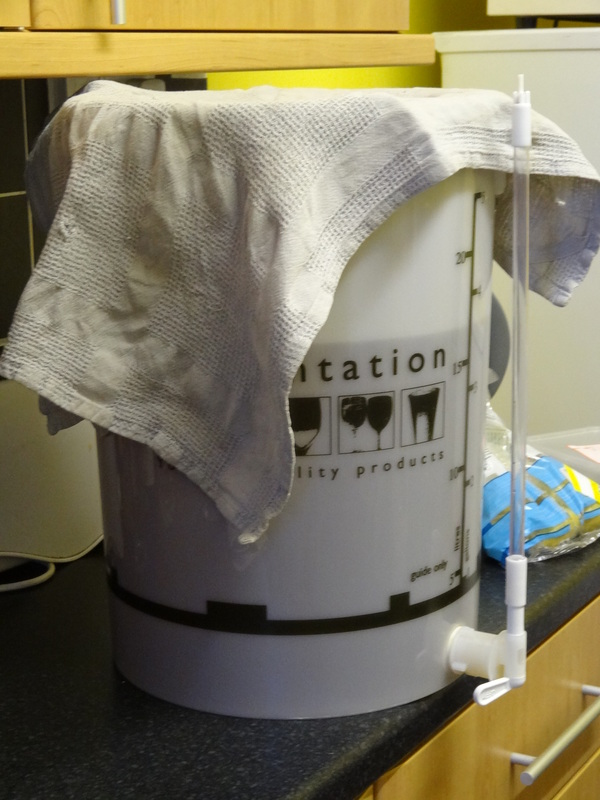 This isn’t as faffy as brewing, but can still take a long time. So, we ordered sushi from Yama Sushi (good food and they do delivery) and got cracking. 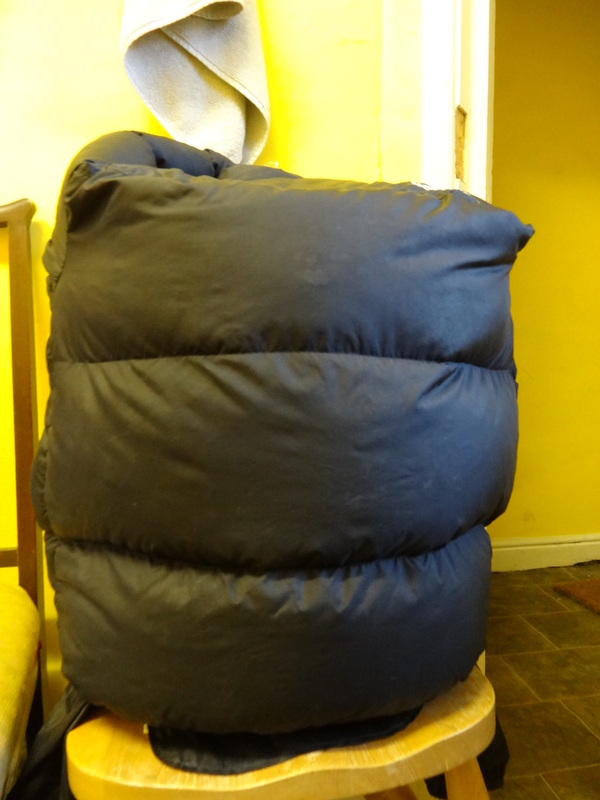 Our friend had already prepped the fermentation bucket on a chair, wrapped in his down jacket. 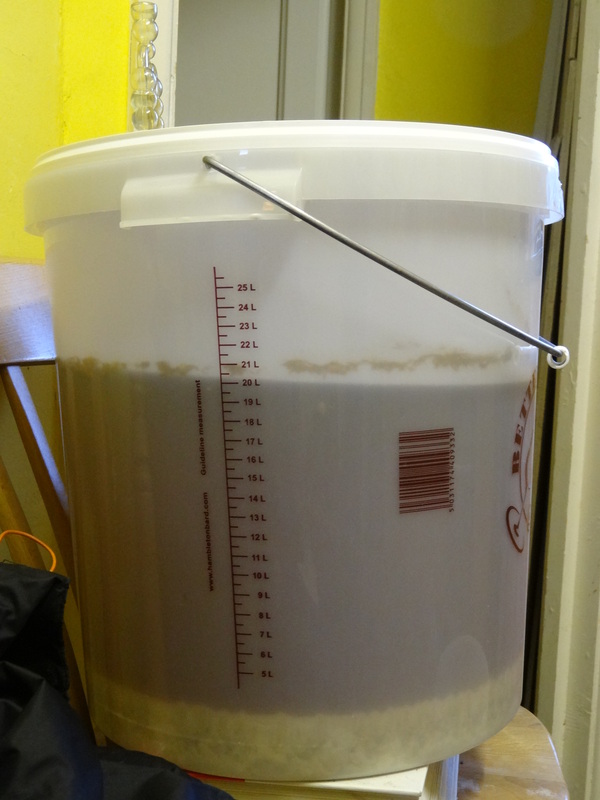 This means that all the crud which would have been agitated by moving the carboy had time to settle before we started to transfer the beer from where it had been fermenting to the bottling bucket. 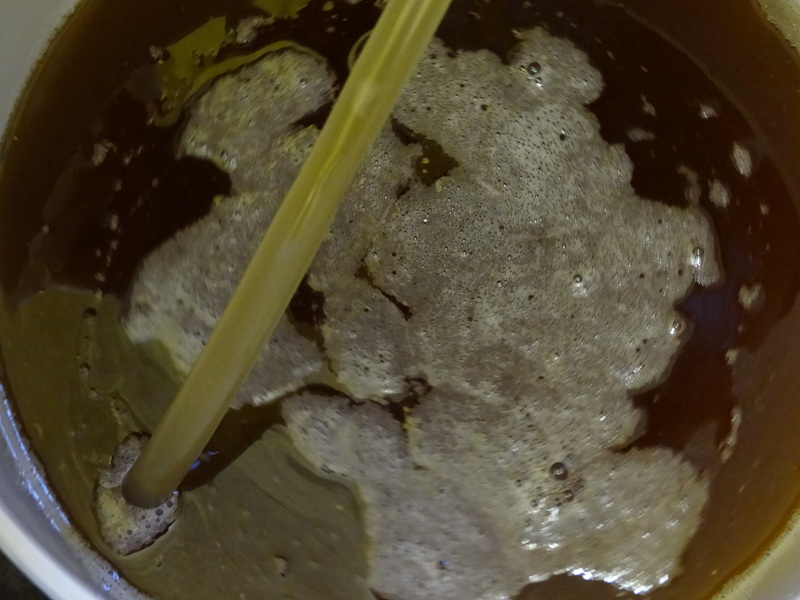 The first thing to do is siphon off all the ‘good’ beer from the trub that’s left at the bottom of the bucket. You don’t want this in the beer. 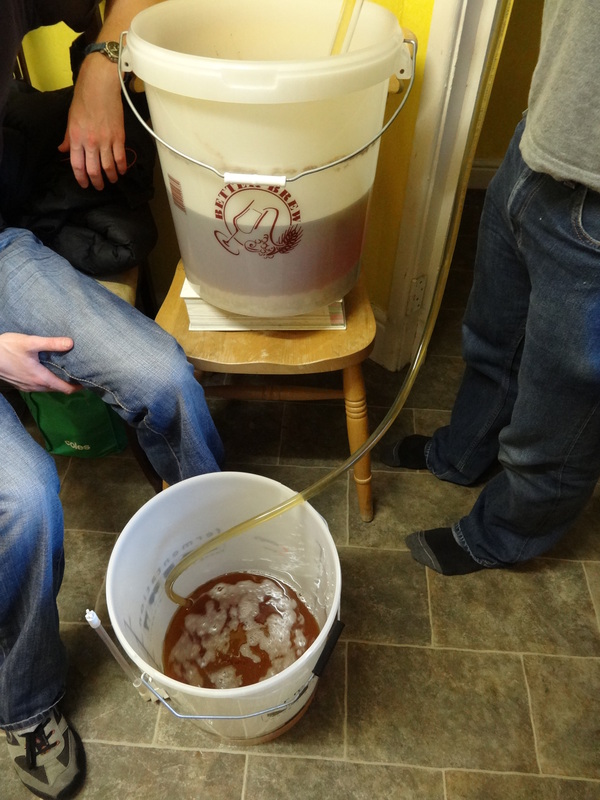 By siphoning off the beer into the bottling bucket contamination is prevented. 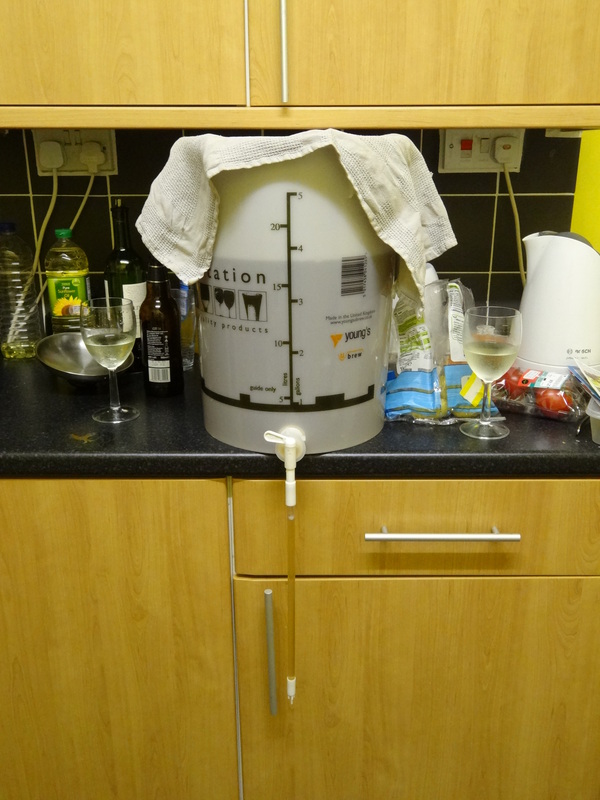 Having the fermenting bucket higher than the bottling bucket helps with the siphoning process. 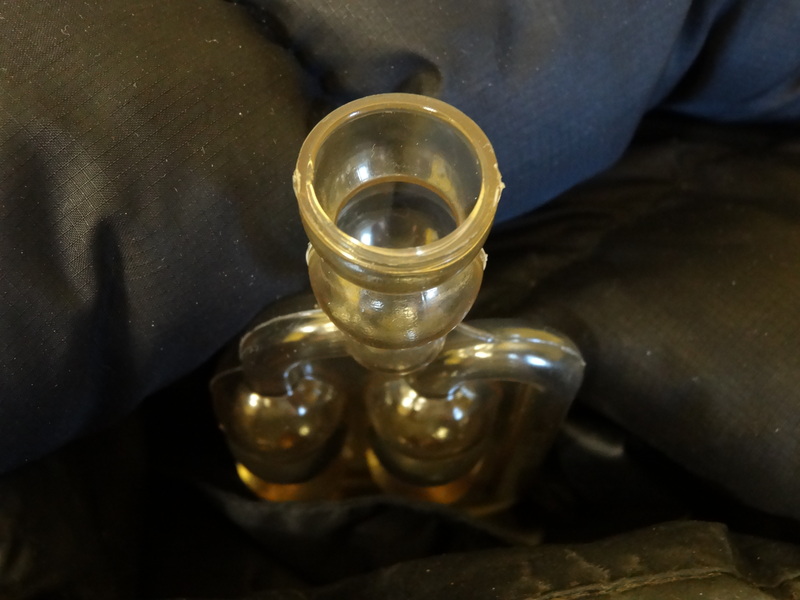 It’s also important not to get air in beer, so we took great care to prevent this in the siphoning process. When close to the bottom of the fermentation bucket, you’ll see lots of ‘trub’. 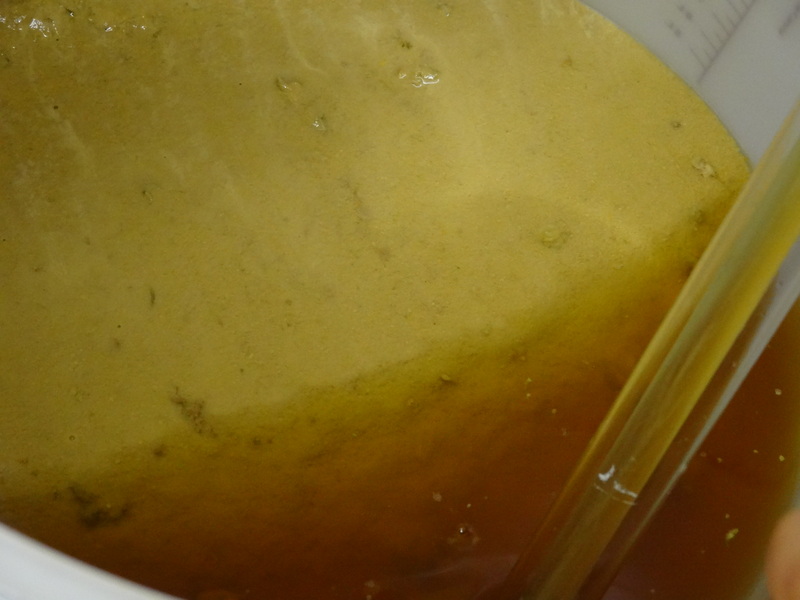 This is the is sediment that occurs at the bottom of the fermentor after the yeast has completed the bulk of the fermentation. According to wikipedia, it’s composed of heavy fats, proteit and inactive yeast. 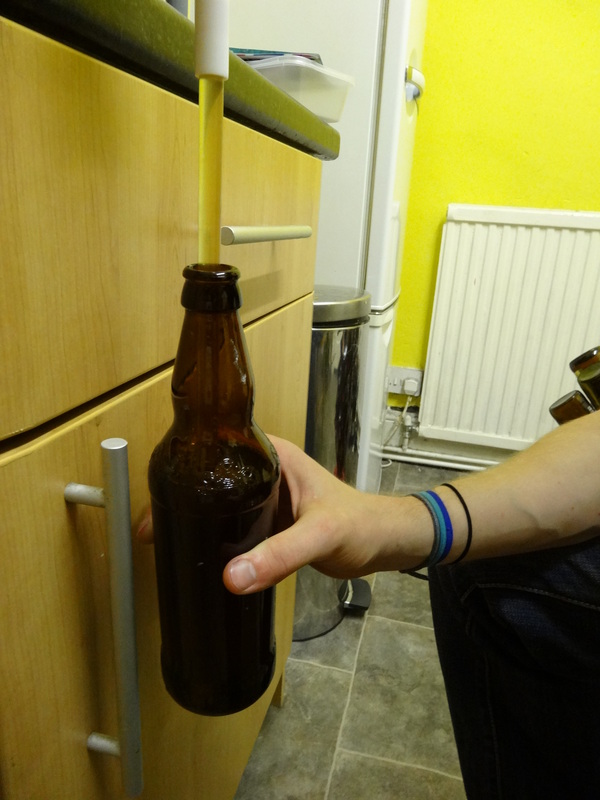 It really important to prevent it from contaminating the siphoned beer because it can impair the flavour of the finished beer. 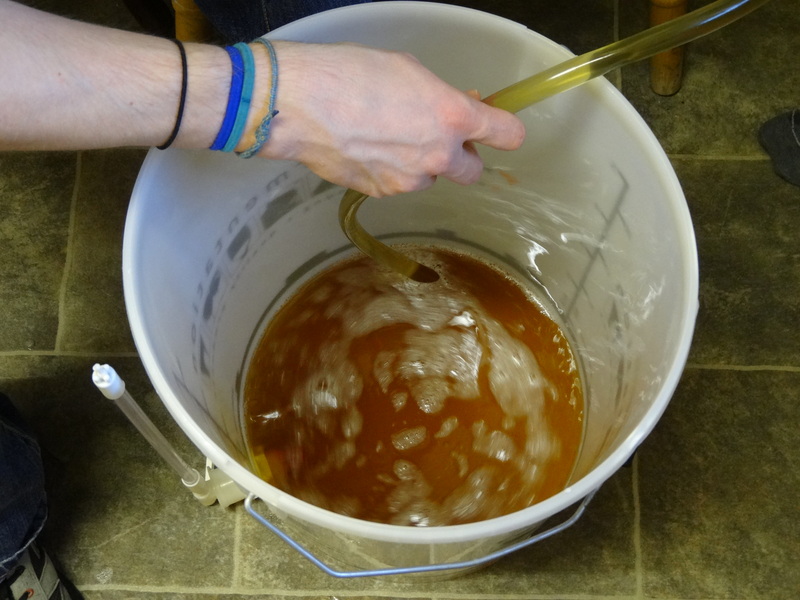 Once the beer has been siphoned into the bottling bucket, the OH and friend transferred the bucket onto the counter top and left it to settle. A primer was thrown in, and letting the beer settle ensures that any stuff floating around has a chance to settle at the bottom. This is a good opportunity to santise the bottles and eat dinner. Sterilising is fundamental for getting good beer. We use Starsan which is a non rinse bleach type thing and use a ‘bottling’ tree to sterilise the bottles. We also sterilise the bottle caps by covering them in boiling water. 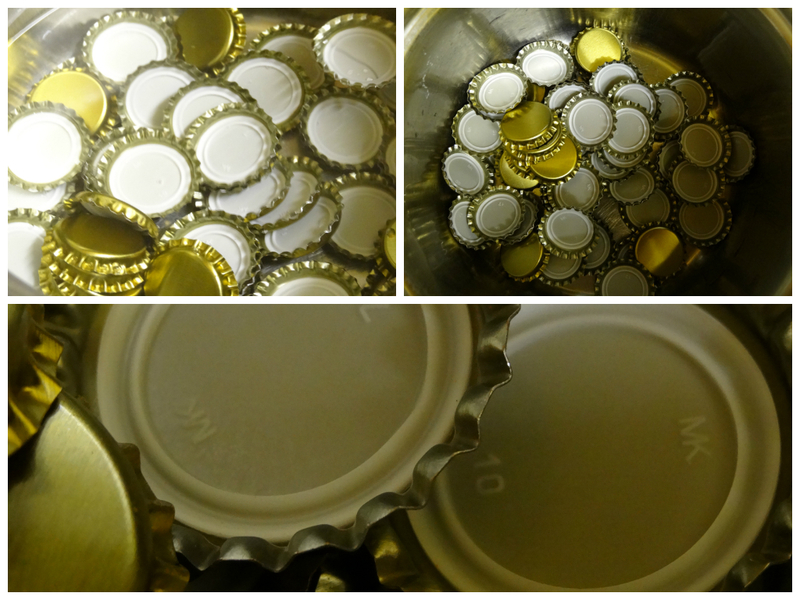 Once the bottles and caps have been prepped, the process is fairly straightforward. We have an auto-shiphon which means that we can insert this into bottles, press the bottle filler to the bottom of the bottle for it to start filling and it will automatically stop once the bottle is pulled down. 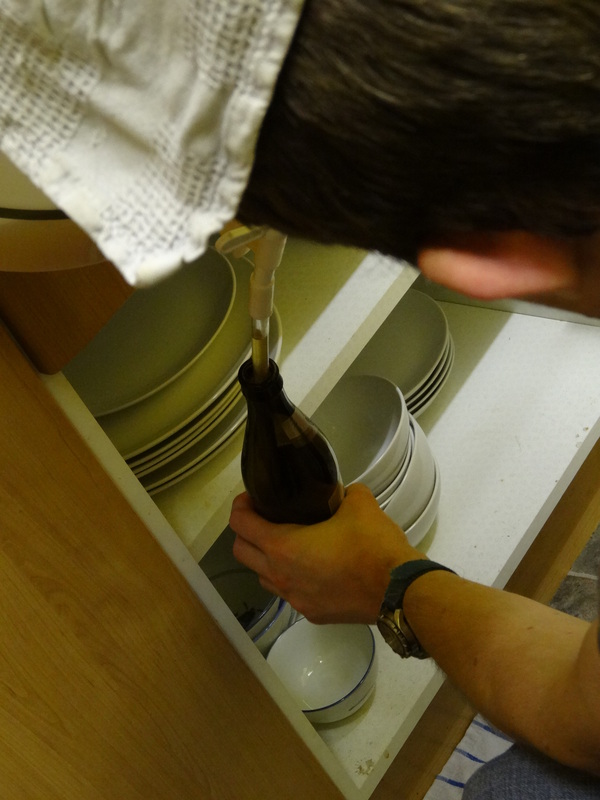 It’s best to fill the bottles to about 1″ from the top. Continue to bottle until right near the dregs of the bucket. 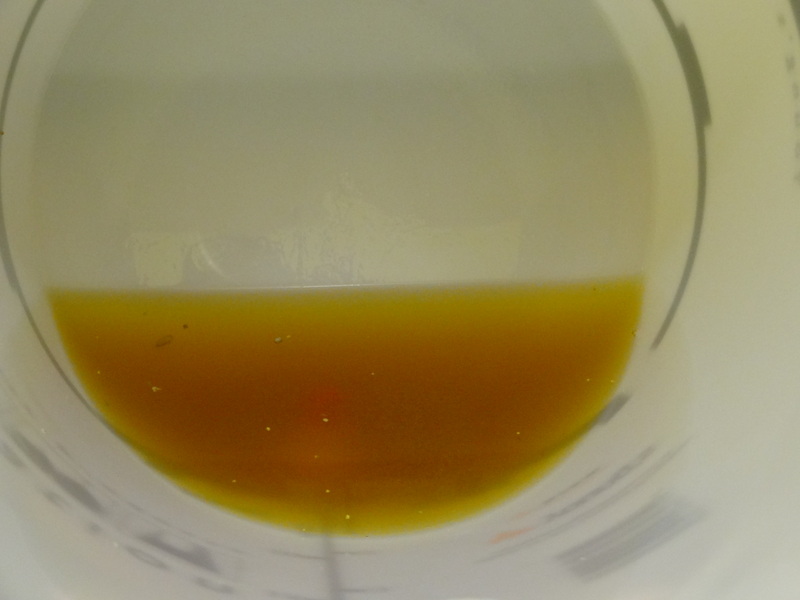 By this point, there is a lot of other sediment/crap in the beer so there isn’t much point in using it. 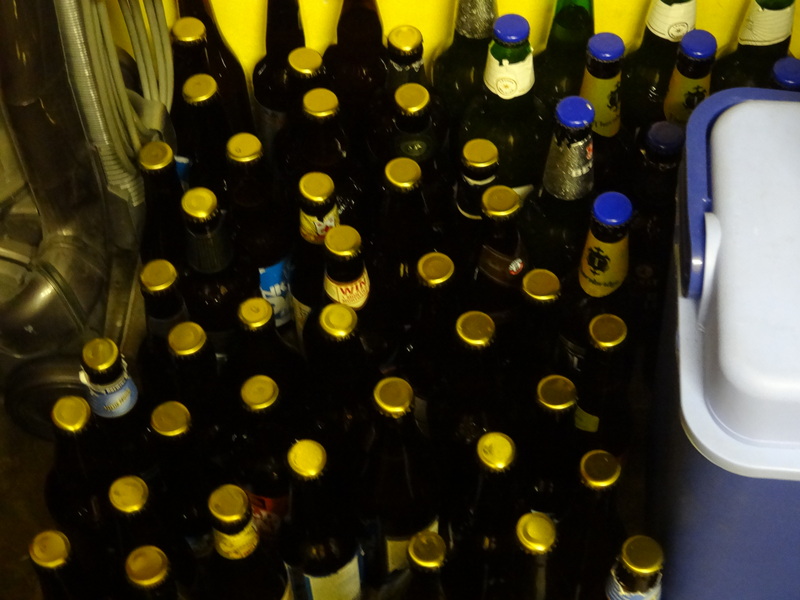 Finally, enjoy the horde of bottles that will bottle condition for the next couple of weeks! Once again, I had a busy, busy day. I got up and did some more editing work on my Chapter. The OH made breakfast and then we started to get ready for the day. We were going to go to our Friend’s house for brewing later on, so I panicked a bit and packed my work to do while brewing. Suffice to say, that didn’t happen! 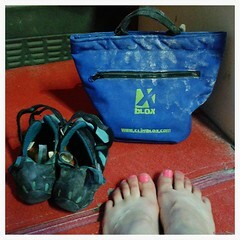 So, it was the Climbing Works again on Sunday. As we had done most of the blacks on Friday, and I was bolloxed after my ride on Saturday, I wanted to do an easy(ish) circuit and then see what I could get up. Unfortunately the weather didn’t help and loads of groups who had intended to climb in the Peak were also at the Works. I did most of the green and pink spotties before getting annoyed at people climbing over/under me. 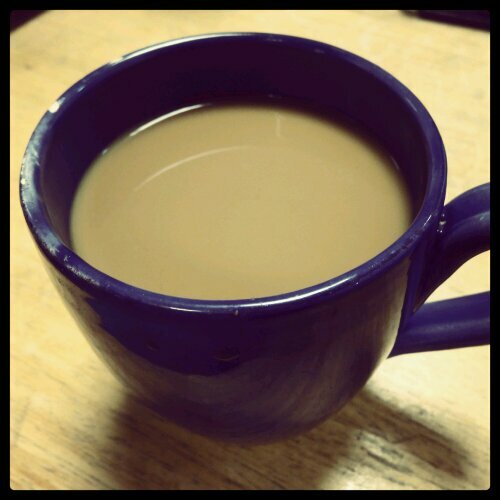 By this time I had warmed up a fair amount and didn’t feel too bad. The Snickers bar and Cappuccino probably helped with this. As I don’t eat that much processed stuff, any sugary stuff really kicks in! I tracked down the OH and we then started ticking off (or not, as the case was) the blacks that we hadn’t done on Friday. After getting bored with that, we went on to playing on some of the yellows and whites that we hadn’t tried. I kept dropping the top move on one of the yellows and got pretty frustrated. By the end of the session, I had the sequence for the problem dialled! Hopefully it’ll go before the set gets taken down. I then tried a murple on the vertical wall. It was a combination of strong, shouldery moves and delicate footwork. 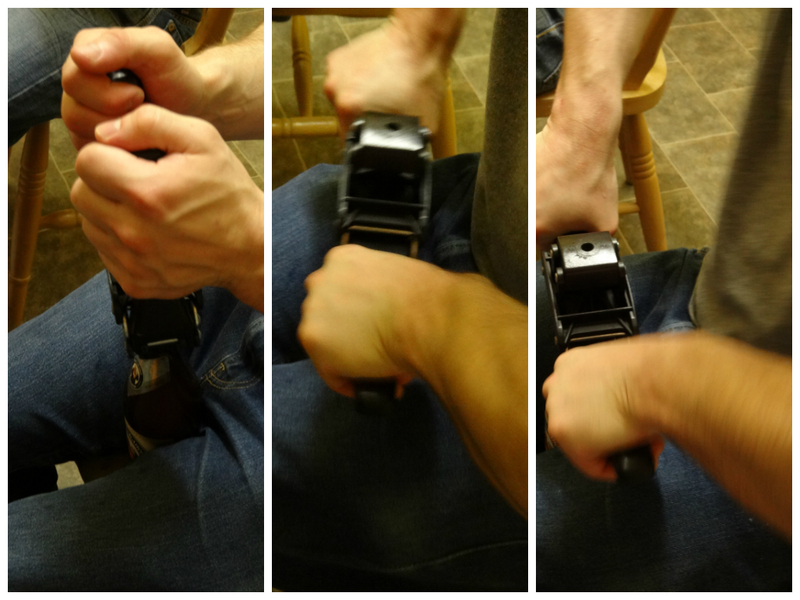 I repeatedly fell off trying to shift weight so I could move my hand. After that we moved on to some more yellows and my left arm lock was not playing! I think the problem would definitely go when I’m fresh. I finished the session topping a murple, and that makes me very pleased! After doing some core work, we packed up and orderd some sushi for brewing sustenance. This time we’re doing a tripel karmeliet style beer. We ate sushi while the grains were mashing and then watched some of the Ride London. 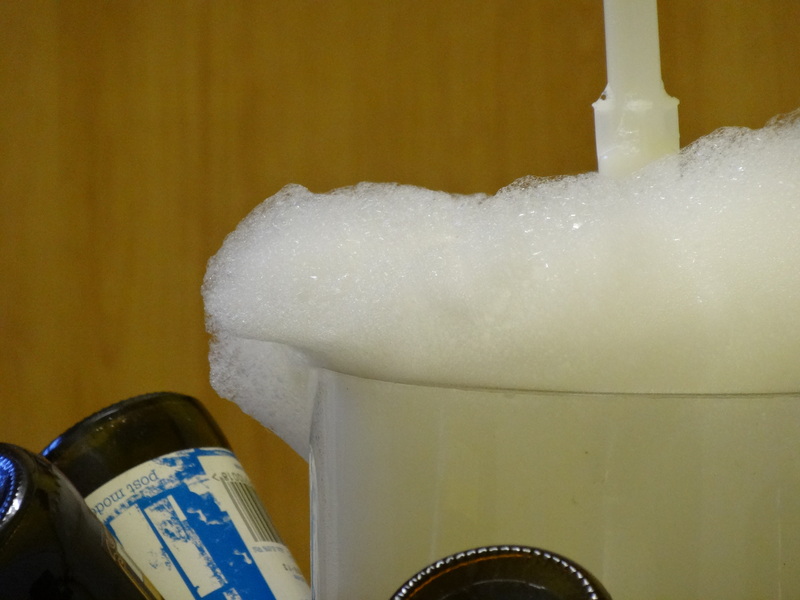 I got quite squiffy by the end of the brewing session!